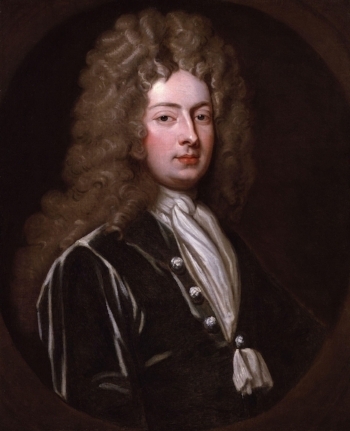 Between the ages of 23 and 30, William Congreve (1670-1729) was England's most celebrated playwright. A writer who all but single-handedly created the English "comedy of manners," Congreve was known for " . . . his brilliant comic dialogue, his satirical portrayal of the war of the sexes, and his ironic scrutiny of the affectations of his age." His major works - all completed by age 30, included The Old Batchelour (1693), The Mourning Bride (1697) and his last - and most frequently staged piece, The Way of the World (1700). A classmate and lifelong friend of the wonderful satirist Jonathan Swift, devoted disciple of England's first Poet Laureate John Dryden and, along with Philosopher John Locke a member in good standing of the Whiggish Kit-Kat Club, Congreve spent the second half of his life living off royalties before succumbing to the grave effects of a carriage accident at age 59. Heaven has no rage like love to hatred turned, Nor hell a fury like a woman scorned, (generally rendered as "Hell hath no fury like a woman scorned). Trust me when I tell you that this week's essay is neither about William Congreve, Restoration Comedy nor Whig political gatherings in 18th century England. It's about "Graham-Cassidy," the Republican-controlled Congress's last-ditch effort to finally fulfill its 7+ year promise to "repeal and replace" the Affordable Care Act, aka Obamacare. During the latter years of the Obama presidency, Republicans voted more than 60 times to repeal the ACA, fully believing that doing so wouldn't involve even a speck of political downside . . . and for several reasons. First and foremost, they knew that should any repeal measure actually pass, the POTUS would veto it. Second, continually pushing ACA repeal scored points with their rabid anti-anything-Obama base. And third, they knew there was little political harm in ticking off Democrats, because they weren't likely to vote Republican under the best of circumstances. I've got to believe that some of the more thoughtful Republicans worried that someday they would actually have to put up a real replacement package - one which would not only pass both houses of a GOP-run Congress and be signed into law by a GOP president, but one which would have a snowball's chance of pleasing someone - anyone - outside their financial backers and faithful flat-earth birther Luddites. When that long prayed-for day finally arrived on January 20, 2017, Republicans began to realize - as said by the new POTUS a mere five weeks after his inauguration "Nobody knew healthcare could be so complicated." Really? Hadn't you been paying attention to all the weeks and months, all the legislative hearings and the incredible hoops the Dems. had to jump through in order to get party-line passage of the ACA? Where were you? Out on the hustings claiming that the entire process from day one to day last was done in secret without so much as a single opportunity for debate. This of course is simply not true. Although the final ACA bill was, to a great extent, masterminded by then Senate Majority Leader Harry Reid (D-NV), this only came about after 79 separate hearings, a ton of amendments and hour upon hour of open public debate. Compare this to Graham-Cassidy, which has had virtually no hearings, less debate than a gathering of Trappist monks (who take a vow of silence), and virtually no reaching out to their colleagues across the aisle. The two things all Republicans know for a certainty are that Graham-Cassidy is not Obamacare, and that it would take most of the tax money accrued under the ACA and turn it into block grants for the 50 states . . . essentially permitting each state to figure out how they wish to spend their healthcare dollars. There are, of course, many problems with the "block grant" approach, the most obvious and overwhelming of which being that not all states are equal. How so? Well, to begin with, median household income is much higher in New Hampshire than in Arkansas; heart disease and obesity are much bigger problems in Mississippi than in Colorado; the opioid epidemic is much worse in West Virginia than in Nebraska. Relatively sparsely populated areas struggle with the closings of rural hospitals, leaving large geographic areas underserved, while urban areas have a high concentration of large hospitals, many of which struggle with overcrowding. With regard to the first certainty - that Graham Cassidy is not Obamacare, its repeal would represent one more move to remove anything having to do with Barack Obama from the public record. In this it is reminiscent of the Biblical injunction (Exodus 17:45, and Deuteronomy 25:19 concerning Amalek: "Thou shalt blot out the remembrance of Amalek from under heaven; thou shalt not forget it (i.e., to blot out the name and remembrance). The list of public officials (including Republican governors, mayors and state legislators) national medical associations (now above 75) and "just plain Americans" who are on record as strenuously opposing Graham Cassidy is growing by the minute. And ironically, the number of Americans who are voicing support for Universal Healthcare is also growing. Ever since Arizona Senator John McCain came out and stated for the record that he will vote against it (despite his closest friend, Senator Lindsay Graham being one of Trumpcare's eponymous sponsors), there is a pretty good chance the bill will crash and burn. About the only ones who are totally upset about this possibility are the Republican Party's biggest financial backers . . . people like the brothers Koch who, like their fellow multi-billionaires, stand to lose out on one hell of a lot of cash (via tax breaks) if Graham-Cassidy fails. We conclude with yet another quote from William Congreve. In Act 5, Scene 8 of his first play, the above referenced The Old Bachelour the bachelour's best friend, a chap named Sharper, gives his mate the following advice: "Thus grief still treads upon the heels of pleasure: Married in haste, we may repent at leisure." They who legislate in haste must expect to be invalidated at leisure. 247 days down, 1,193 to go. (Introductory Note) Back in early June when this blog moved to its present site, the subtitle also changed: from "Formerly 'Beating the Bushes'" to "Politics and a Whole Lot More." Well, this week is mostly "A Whole Lot More" and a tiny bit of "Politics." The underlying basis for this week's piece comes from an aspect of my professional life which I have rarely, if ever, written about. For nearly 2 dozen years, I have served as a "community member" of two different Institutional Review Boards; first, Cleveland Clinic Florida and, for going on five years, Schulman Associates IRB (Institutional Review Board). It is our job to carefully screen, edit and approve medical research projects - some dealing with surgical procedures, some pharmaceuticals and yet others, visionary techniques. Our "primary directive" is to help safeguard the rights of research subjects and to make sure that all research is carried out in an ethical manner. Over these many years, I have read, digested (to the best of my lay ability) and edited easily more than 1,000 research protocols. By this point in time, I guess you could say that I qualify, medically speaking, as either a "lay professional," or perhaps a "professional layperson." For it is my job to translate medical and scientific terminology into understandable English at, say, an 8th or 10th-grade level. Having written this, let's enter enter the world of Zelig Eshhar, cancer research and CAR-T . . . 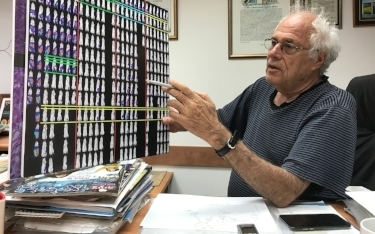 There's a pretty good chance that few, if any who are reading this piece have ever read or heard of Zelig Eshhar, let alone be conversant with the medical acronym CAR-T. Trust me when I tell you that shortly, that's going to change; that both Professor Eshhar, an Israeli immunologist at Israel's Weizmann Institute of Science and his breakthrough research will become as well known as penicillin, Viagra and joint replacement surgery. Professor Eshhar's breakthroughA is called CAR T Therapy, which stands for Chimeric Antigen Receptor T-cell Therapy. T-cells are the white blood cells that fight foreign or abnormal cells, including cancerous ones. Under normal circumstances, T-cells try to fight cancerous cells – but because the body has been weakened by the cancer, the response is usually not strong enough to prevent the spread of cancer. In addition, cancer cells are genetically programmed to evade T-cells - essentially to see them as "the enemy." Dr. Eshhar figured out a way around this by extracting T-cells from the patients and then genetically modifying them to develop longer-lasting and more aggressive responses to the disease. As a result, research subjects experienced significant improvement – and even elimination of the disease altogether. In a sense, what Dr. Eshhar's process does is retrain T-cells and put them back into the body. CAR T therapy represents a quantum change in both theory and practice. Instead of using chemotherapy, which is essentially a poison used to kill various tumors or cancer cells, CAR T takes an immunological approach in which one's own body provides the "slaying" mechanism. Chemo drugs are huge money-makers for the pharmaceutical industry. Various companies - such as Roche, Novartis and Eli Lilly pour tons of money into researching what they hope will become the next blockbuster drug. And if (and when) they come up with a drug that works on a particular type of cancer (breast, prostate, lung, pancreas, etc. ), it can be worth billions of dollars in global sales. Roche's Avastin (Bevacizumab) with global sales of $6.7 billion; used to treat breast, colorectal , kidney and ovarian cancers. Johnson & Johnson's Imbruvica (Iritunib capsules) with sales of $5.3 billion (used to treat certain kinds of leukemia - a blood cancer - and lymphoma. CAR T-cell Therapy is a horse of a different color. As Professor Eshhar explains it, "T-cells and antibodies in patients and animals are part of the immune system, capable of distinguishing tumor cells from normal cells. These cells, however, are not enough to fight the cancer cells, which manage to “evade and avoid them. The end result is cancer and an immune system that is not efficient enough to thwart it." Stumped by this reality, Eshhar decided to combine the antibodies with the T-cells, figuring, in his words that "Two are better than one." What he did was extract the T-cells and genetically engineered them to include a molecule that has the cancer recognition skills of both the antibodies and the T-cells. The modified T-cells were then injected into patients. As Eshhar explained it, these T-cells “now recognize the cancer and will now be efficient because I engineered them so they will attack the cancer." This is the simple essence of Chimeric Antigen Receptors. To date, this process has shown spectacular success; so much so that the company which began experiments with CAR-T - Kite Pharma - was just bought out by Gilead Sciences, Inc. for a whopping $12 billion. Not bad for a company (Kite) which has never turned a profit. So what is this potential miracle cure going to cost? No one knows for sure, but Novartis has pegged the price of its newly-approved CAR-T drug Kymriah at $475,000 for a single infusion, an amount that is within the range anticipated by oncologists and that Novartis characterized as "well below a price level that could be justified on cost." As time goes by and new CAR-T medicines become available, the price will likely come down. But make no mistake: for the foreseeable future, it's going to be a highly expensive therapy. But in an article published just a couple of days ago the online Life Science Washington experts anticipate that "Through further collaboration between academic groups and industry, and with a greatly improved local infrastructure, and an increased understanding and predictability of therapy resistance, there is great hope that CAR-T will become an efficient and affordable therapy – for the benefit of everyone." The progress that can and should be made in this ground-breaking therapy will require a staggering investment - both on the part of big pharma, foundations and the federal government. Regrettably, this is all happening at the very moment in which the administration has proposed cutting funds for the National Institutes of Health (NIH) from $31.8 billion to $26 billion. They are also seeking a $1 billion cut in funds for the National Cancer Institute. It doesn't take a genius to realize that this is bad, bad timing. Hopefully Senator McCain, who is one of the most widely respected voices on Capitol Hill, will be able to convince his colleagues to stem this heartless tide. Then too, it is indeed highly ironic that a world class Israeli immunologist working at an Israeli institute, (and assisted by scientists named Kohn, Levy and Rosenberg) should be getting his most deserved moment in the sun at precisely the same time that neo-Nazis and white supremists are airing their diabolic dreams and desires in front of every camera and microphone pointed their way. God forbid any of them should wind up needing CAR-T therapy. Will they turn it down because its "parents" are Jewish . . . ? categories / Healthcare, "The Lay Professional"
Like millions of Americans, I am praying for the recovery of Louisiana Representative Steve Scalise, the House Majority Whip who was critically wounded by a deranged gunman during an early-morning baseball practice nearly two weeks ago. In the shooting, in which four others were injured, Scalise was only struck once, far from his most vital organs. However, the bullet traversed his hip, shattering bones and unleashing concussive forces that caused severe internal bleeding and organ damage. When he was medevaced off the field, he was reportedly conscious and in good spirits. 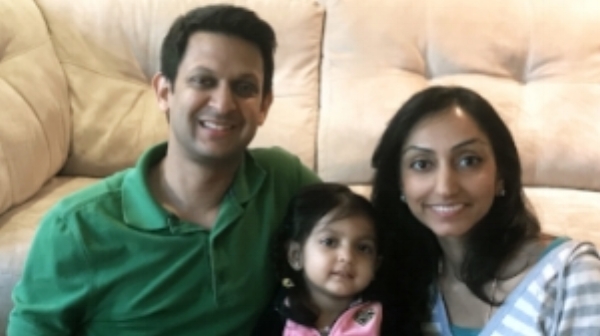 By the time he arrived at MedStar Washington Hospital Center, in the District of Columbia, he was in critical condition: unconscious, and on the brink of death. One hopes that the relative dearth of daily news about the congressman's progress is a good sign . . . the "No News Is Good News" syndrome. Indeed, as of the middle of last week, after three surgeries (with the prospect of several more to come), his condition had been upgraded to "fair." And here's where irony comes in: Like virtually all of his Republican colleagues in the House, Rep. Steve Scalise voted to (mostly) repeal and (just about totally) replace the very system of healthcare which will save him from even greater and graver financial disaster. For without many of the Affordable Healthcare Act's (Obamacare) best-wrought clauses, Rep. Scalise - like somewhere around 20-24 million other Americans would - were he not a member of Congress - be in dire shape. The "American Health Care Act" (ACHA) passed by the House back on May 4th, includes an amendment that would allow states to obtain waivers from certain insurance requirements mandated by the Affordable Care Act. States could get waivers to: increase how much insurers can charge based on age, establish their own requirements for essential health benefits that plans must include, and allow insurers to price policies based on health status in some cases. That last waiver could lead to higher premiums for those with preexisting conditions who don’t maintain continuous coverage. An amendment — penned by New Jersey Rep. Tom MacArthur — specifically exempts Congress and its staff from the effects of such state waivers. It must be admitted that this was done for procedural, not political reasons a bit too arcane to be gone into in this piece. A second, stand-alone bill proposed by Representative Martha McSally (R-AZ) would strike the exemption of Congress from state waiver provisions should the AHCA be enacted into law. Crazy, no? But in any event, Representative Scalise - like so many of his fellow Americans - is going to be way behind the financial eight-ball should this hastily-drawn, monstrously conceived legislation get to the president's desk for final approval. A reasonable political observer might expect the case of Rep. Scalise to be brought up again and again in the AHCA debate. After all, it is an enormous elephant in the legislative room. But as reasonable as this might seem, it is not likely going to happen; neither Republicans nor Democrats are going to be mentioning the name "Steve Scalise" - unless attached to the words "Our thoughts and prayers . . ." Why is this? Well, as The New Republic's Brian Beutler succinctly put it in a recent article, "Republicans are the governing majority, they have no interest in letting Scalise’s ordeal become a symbol of anything related to health policy . . . . Democrats have been reluctant to politicize the shooting for different reasons: Scalise is a colleague, the dead shooter was a former volunteer for Bernie Sanders’s presidential campaign, and the media surely would have punished anyone who interrupted the Kumbaya moment on Capitol Hill. Fascinatingly, since the ball-field shooting, none of the normal post-slaughter debate over "More guns vs. Better gun control" has been heard; and I mean nary a peep. Perhaps this Kumbaya moment in the case of guns will extend to the current healthcare debate. Then again, perhaps that's a bit overly Pollyanna. At least while we are praying for Rep. Scalise's recovery, we can pray for a bit more sanity. a full 64 percent, or nearly two-thirds of nursing home patients, are covered by Medicaid. In a world ruled by sanity, insurance costs and healthcare deductibles are kept in check by having the maximum number of people - people of all ages and stages of well-being - sharing costs. Republicans of all stripes - and some Democrats - have long argued that requiring people to purchase coverage is wrong, unconstitutional and even Socialistic. Make no mistake about it: even greater than their hatred of "individual mandates" and "shared responsibility" is their love of extraordinarily generous tax cuts for their already hyper-wealthy backers and benefactors. And yet, beyond the irony of Rep. Scalise's perilous condition during the very time healthcare is a central focus, is the possibility of the irenic moment this irony could provide. For those who do not do crossword puzzles, the word irenic may be unknown. It comes from the Greek word ειρήνη (eirēnē), meaning "peace." In theology, it specifically connotes the process of reconciliation between different denominations or sects of a religion. And that is what this ironic moment could be providing: ειρήνη - a coming together, a reconciliation between those who believe healthcare for all is a right, and those who hold that tax-cuts for the few is a given. As The New Republic's Beutler wisely notes, "The best thing that could possibly come of Scalise’s shooting wouldn’t be some fleeting moment of political unity. It would be pulling Republicans back from the brink of trading American lives for tax cuts." 156 days gone, 1,301 to go.